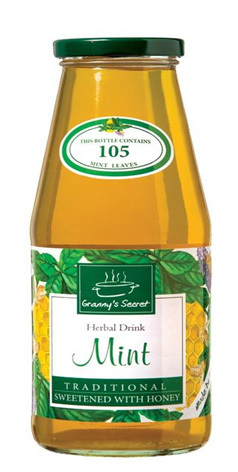 This superb, refreshing drink of mint, we have prepared by natural extraction of hand picked flower of mint and thus have saved all active, medicinal components, which contains the plant itself. Mint is used as a friendly, gentle, harmless medicine for sedation because of its pleasant and refreshing smell. mint stimulates blood circulation, cures colds, hoarseness.